From the time our Gracie girl was a puppy, we searched high and low for toys that she wouldn't destroy in minutes. The plastic rings were good, but she destroyed the fabric middle ring by pulling on the threads until she unraveled it entirely. We tried subscription services with a heavy chewer option like Bark Box and we tried Rescue Box, which, at the time, had no such designation. While the treats were fun, the toys just couldn't survive. Our chewer went to town, persevering to the point of total destruction and near consumption. We had to take every toy away. She tore the felt off tennis balls. Rope toys? Forget it; she frayed them all and pulled the threads out of the braids. She didn't play with the toy; she tried to eat it. It became clear why we couldn't have nice things. In the beginning, even the leash was a casualty to our Gracie's teeth. There would be no sweet stuffies for our girl; hard rubber would become our dog's best friend. 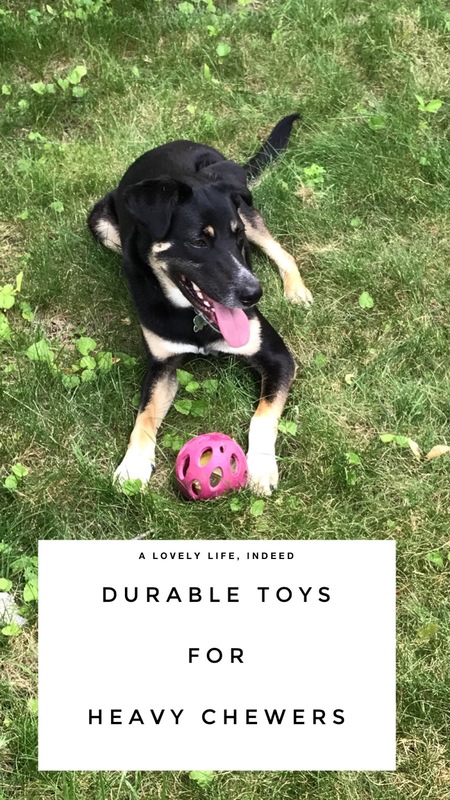 As you can imagine, we have tested and tried many toys for Gracie, but the ones that survived are what you'll find here in this guide. These are toys that you will find in our home and in our yard. 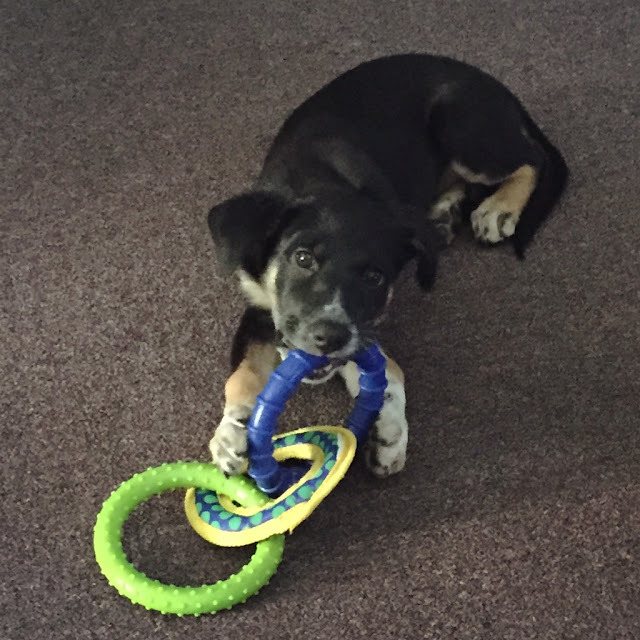 They are toys that work for our family, and if you have a heavy chewer as well, they may be a good fit for you as well. KONG Jumbler Ball Toy: This is her favorite outside toy. It comes in different sizes, but we get Gracie the extra large variety. The handle on top makes it easy to throw, and once she learned how to grab it and carry it by its handle, it made fetch much more fun. Bonus: it floats. 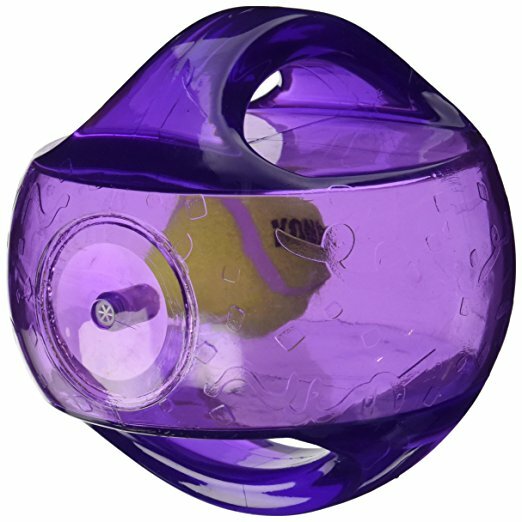 Despite its unique look (my naughty friends giggle when they see it), KONG Safestix is another fun fetch toy. In addition to fetch and tug, she also will chew on it like a bone if she's tired of running for it. This is also a floater. 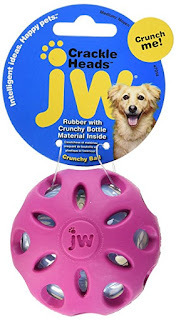 The JW Crackle Dog Toy is fun because it makes noise. It's not a squeaker, but a crackler. It must have the same type of plastic that water bottles have because that's exactly what it sounds like when she crunches it between her teeth. Some soft toys have water bottles inside them that make the same crackling effect; she can't have those. This toy is Gracie proof. 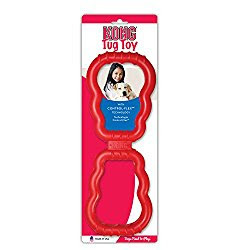 Kong Tug Toy: We discovered this toy at Gracie's BFF's home. She wasn't keen on sharing it with the other dog, but she's always eager to share a side with us. 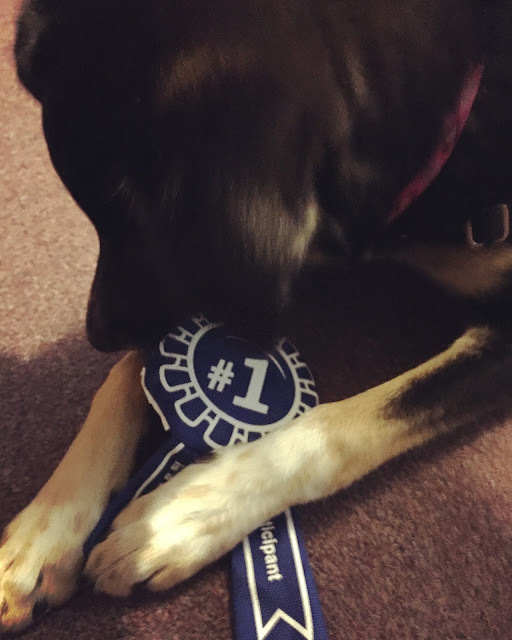 Chew Toys: In terms of chew toys, Gracie also always has a few like this one. The other chew toys with plastic edges and edible centers don't work for us because she tries to consume them all entirely. We don't give her natural bones based on the recommendation of our vet. We all want what's best for our pups. 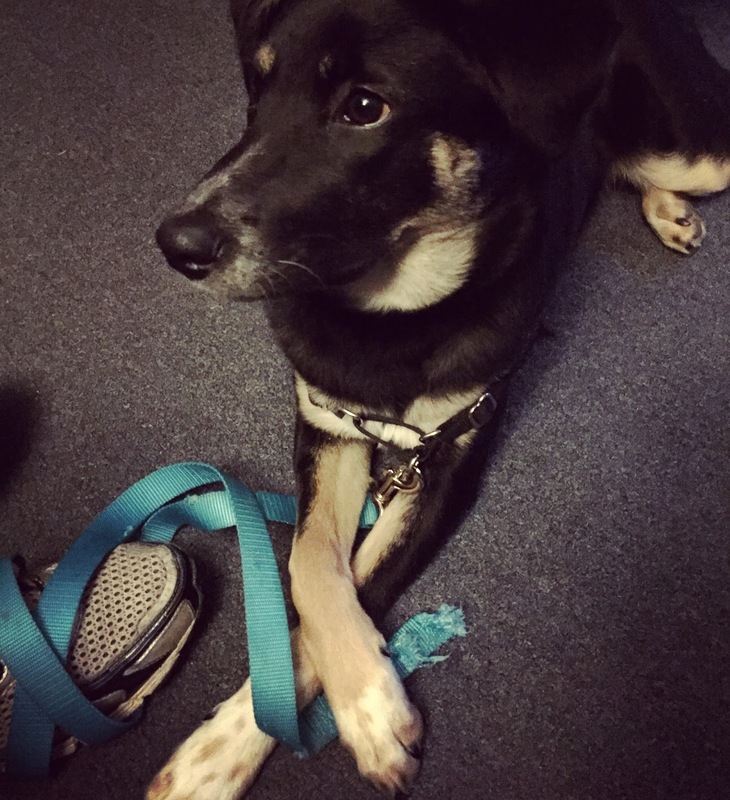 As with people, our dogs have unique needs and personalities, and as we grow as a pack, we make decisions based on what we think is best for meeting those unique needs and personality quirks. Gracie might not have the cutest toys at the dog park, but she's a happy girl with a playful soul who adds a lot of love and joy to our little family pack. Do you have a heavy chewer? Any toys that you would recommend? Very cute Kelly! Makes me reminisce on our late fabulous Portuguese Water Dog of 17 years, Vasca her claim to fame was that she was the sweetest dog of all time whose best trick was that she had none. 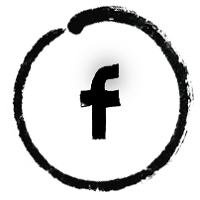 Fun share.